I think it is fair to say that for many types of music, due mainly to the sheer volume of history and artistes working in genres, that it is pretty difficult not to just re-record something that has already been done. The vast genre of folk country music is one where not only a huge amount has been created already, but that quite a large amount of that work is also excellent and doesn’t need, or even support, improvement being as how do you improve on stuff that is really very good already? Artistes wishing to develop the music often fall into the trap of just recreating sub-standard versions of the music of their betters or worse, end up making something to sell as opposed to staying true to their first love and roots. However, every now and then you can stumble across acts that do develop a sound which, despite having some pretty obvious touchstones, does take the music they love and make it fresh, new and relevant whilst all the while staying true to why they play the music in the first place. 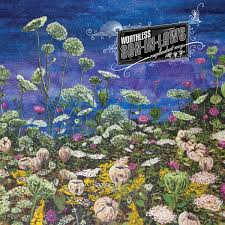 One such band is the Worthless Son In Laws who’ve recently released their new album ‘resplendent verge’ which is a towering piece of modern alt-rock Americana. I’ve come to find out about this band through drummer/percussionist Dave Brewer, who I came to know through another band he is in, Possum Jenkins, and whom I met when on holiday in North Carolina earlier this year. Dave, and the rest of the band hail from a little town, called Boone, high in the Blue Ridge Mountains, which is perhaps where the unique sound of this album comes from. 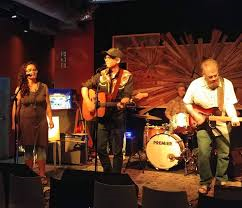 Set as part of the Appalachian mountain range Boone finds itself almost equidistant from centres of such disparate musical genres as the country music of Nashville, the deep south below it and to the north the cities of Washington DC, Cincinnatti and Louisville with all those influences. Add to that its history during the American Revolutionary War, and the British presence in the area, and you can begin to see a melting pot of musical influences that the Worthless Son In Laws have dipped into to make this brilliant and evocative album. Some influences are very obvious, the album includes a cover of the Simon and Garfunkel/Peruvian folk tune El Condor Pasa (If I Could), with others less so. But what is obvious is that the band (joining Dave is electric guitar of Rob Brown, bass by Rich Crepeau and acoustic guitar and vocals from Jimmy Davidson) have a love of the music that has seeped into their consciousness from which ever direction it has, and that have a synergy with their surroundings and environment that oozes through this album. Oozes is the word for me and this album is an exemplary piece of languid, almost lazy (but lazy in a good easy and simple way – these are guys who all know how to play, and more importantly produce what they are doing) flowing tunes. 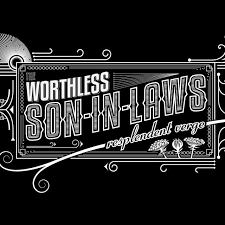 With additional music added by a variety of musicians under the name The Worthy In Law In Laws this album takes country alt-rock in a new fresh and vibrant direction all the while remaining true to the musical ethos that has defined them and their tastes to this point. And this album works in a couple of ways. First up, if you love Americana rock you’ll love this album, it is as good an album of this style of music as I’ve heard in many a year. 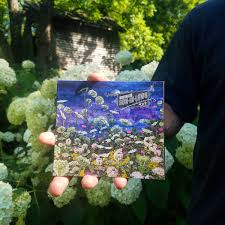 But, secondly, and perhaps more importantly, if you are new to country alt-rock and wish to find out more this album will work beautifully as a jumping off point to find out more about this great American music and the other artists that lie on the outside of the more commercial world we are more often exposed to. Either way, you will not regret investing your money and time in this project.